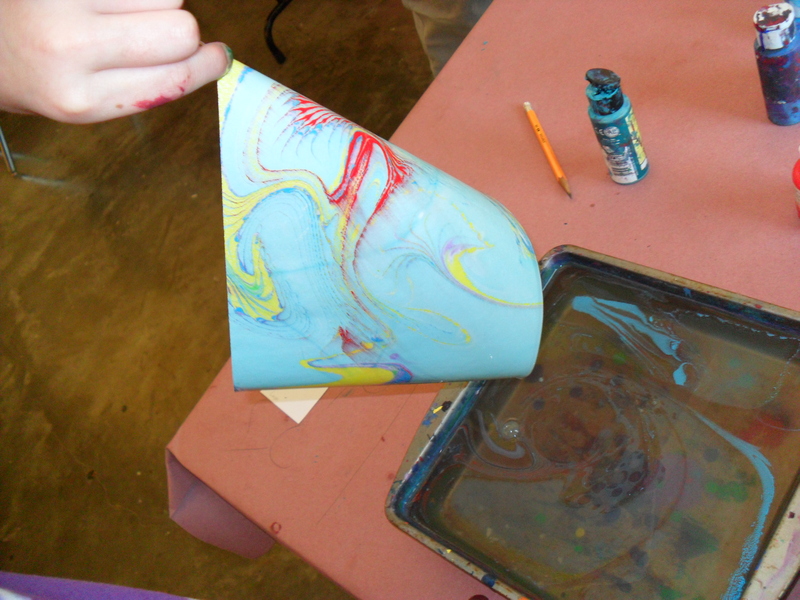 How We Marbleize Paper: – Emma Teaches Art! 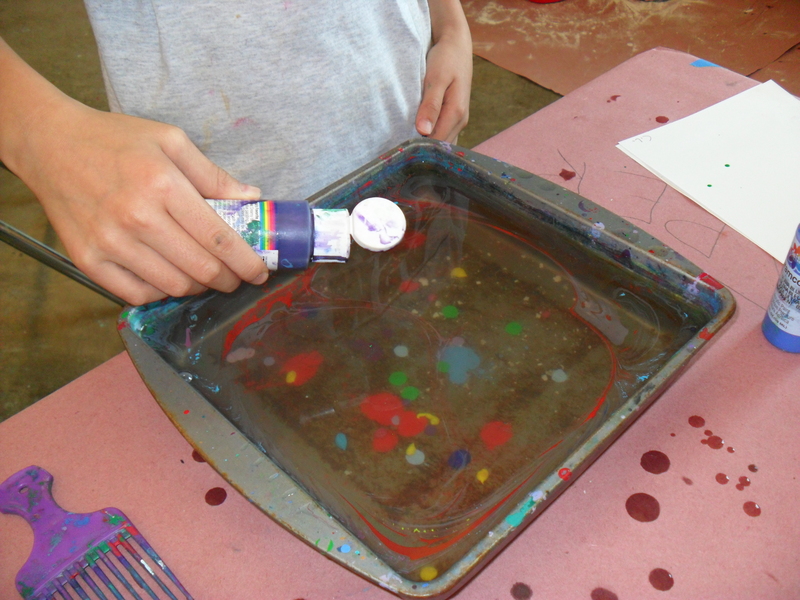 Each week at the Decorative Fine Arts camp we marbleize paper using a technique I learned from my boss, Sinclair Hamilton. (He is also a talented sculptor and teacher at Glen Echo) In years past I have used carrageenan, a powdered seaweed sometimes found in ice cream and pudding as a natural thickening agent. I have this year switched to methylcellulose which is more like the water absorbing fiber you would find in Metamucil, but finer ground and obviously unflavored. I mix the methylcellulose into water with a kitchen blender, and let settle for a day. Each week, at this camp, I mix it the methylcellulose the same day as the papier-mâché wheat paste, Tuesday, because we have all the mixing supplies out, and it gives the mixture time to settle by Wednesday morning. So Wednesday morning, once we have the goo poured into two containers and set out acrylic paints on the table, we are ready to begin. 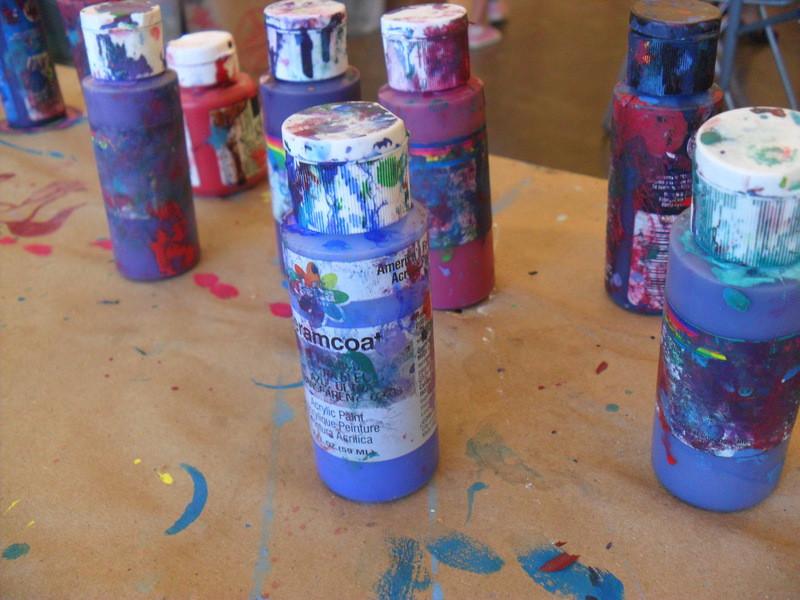 Each camper will put three drops of three different acrylic paint colors of their choosing. 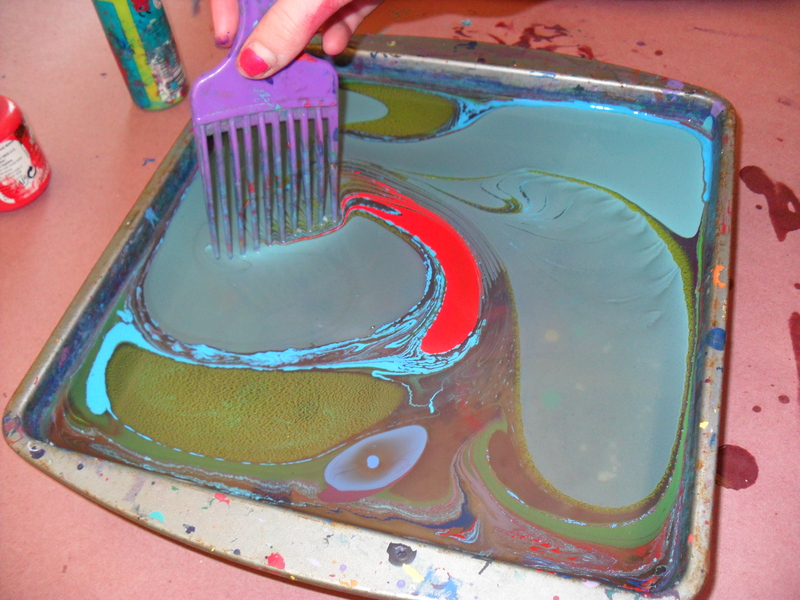 Then with a comb the twirl the paint around to their desired design. And finally we drop the paper on top of the goo for precisely three seconds before picking it up and letting the excess goo and paint drip off for another 30 seconds. One of the Amazing Things We Do!